Why get a tent? Most often it’s “Plan B” in case of rain. But in the summer in Texas..well let’s not dwell on it. 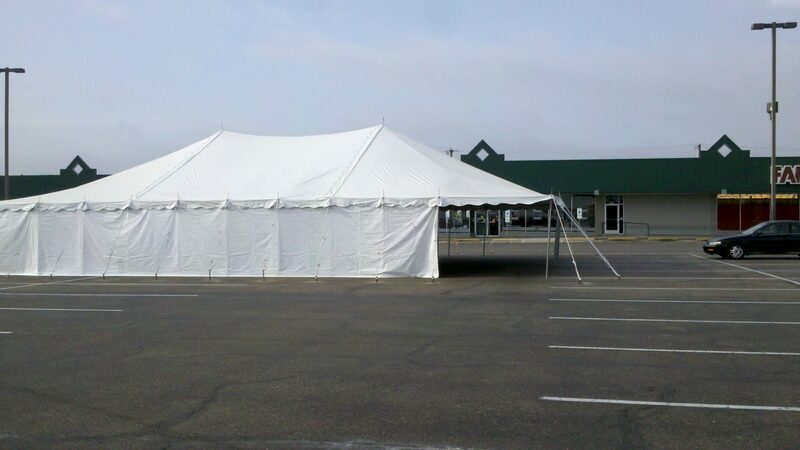 The 40′ X 60′ tent is versatile and popular for social events. It has only two poles in the center of the tent so it allows for many configurations underneath. I’m including a couple of recent layouts we’ve done. Both of these were for wedding receptions. 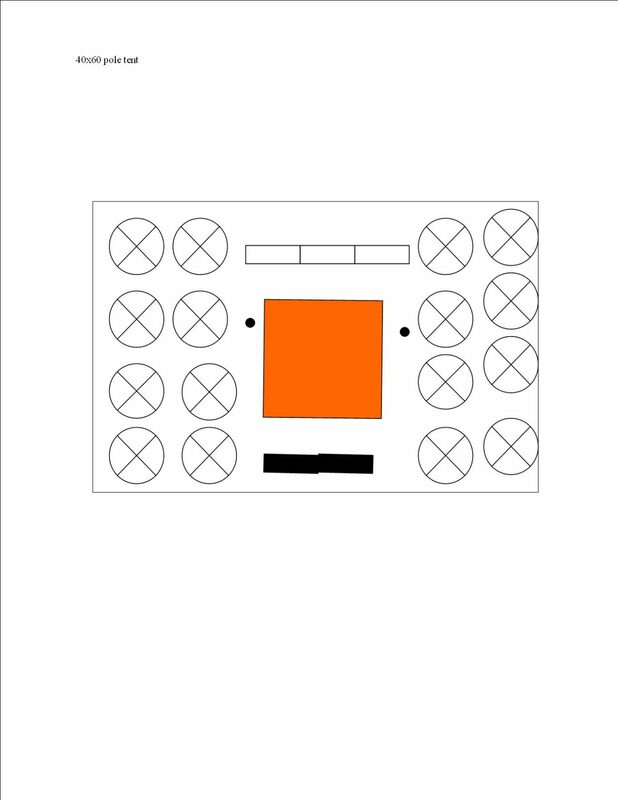 (Each round table will seat 8-10 with folding chairs Each 8′ rectangle table will seat 4 on each side and 1 on each end.) Stay cool! 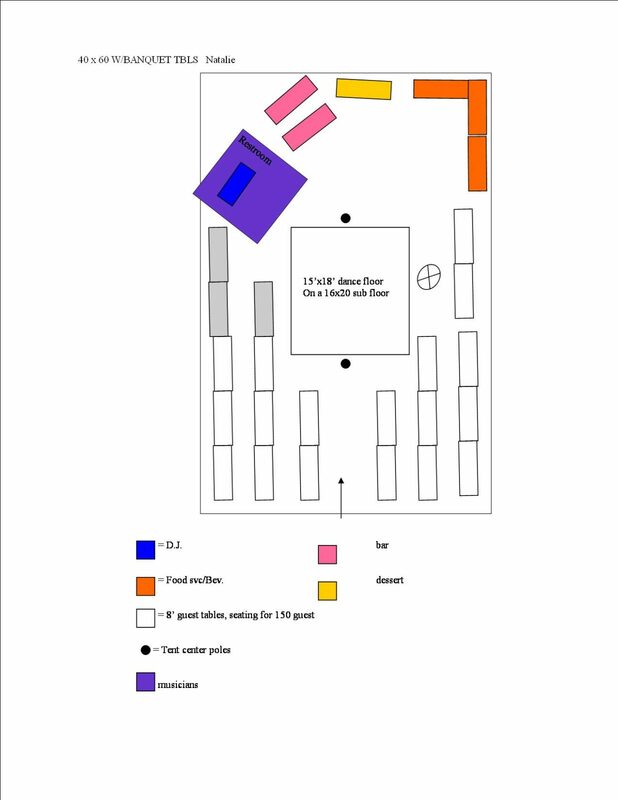 I like that the party tent only has two poles in the center of the tent to allow for many configurations.